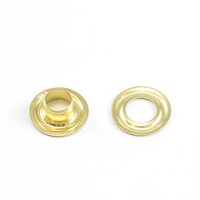 Grommets are a vital piece of hardware for a host of projects. 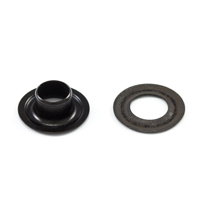 The handy parts are designed to reinforce holes in fabric. Source for projects in custom awnings, marine canvas, banners, curtains, drapery, and outdoor upholstery. 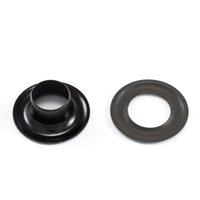 Built to last, the quality-made grommets and washers come in heavy-gauge, black, and nickel-plated brass as well as stainless steel, aluminum, and rubber. 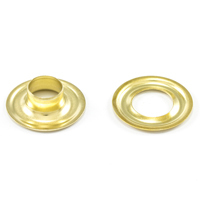 Choose from multiple sizes and styles to best fit your project. 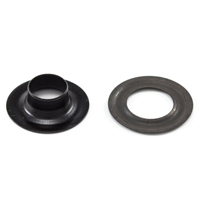 Standard grommets work best in general or light applications where rolled rim grommets offer a slightly thicker material for heavy-duty projects. 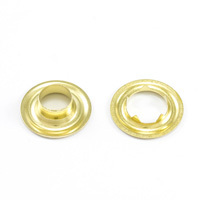 Plain washers work best for general or stationary uses, neck washers are used to reinforce holes in barrel-to-barrel settings, tooth washers have interlocking teeth for heavier projects, and spur washers offer more teeth for the most robust and secure option (great for rigorous environments that experience movement, like for use on boats). 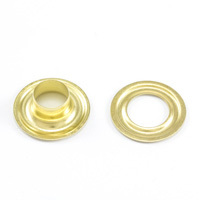 For a more detailed look, learn more in our guide on Choosing the Right Grommet. 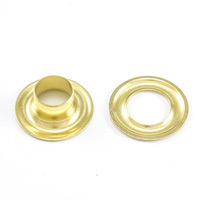 Adding metal grommets assures maximum strength, resistance, and protection for any fabric. To avoid repeated trips to the part store, buy in bulk online. Also found in our extensive hardware section are related grommet tools, like the Pres-N-Snap® tool, Osborne Multi-Duty Hand Press, FASNAP® PM5 Grommet Machine, and the DOT® Snapmaster® Hand Press. You’ll also find dead blow hammers, urethane cutting pads, hand cutters, setting dies, and rawhide mallets. 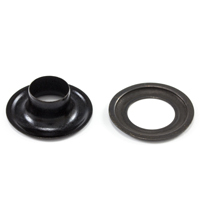 For everything you need in one package, shop convenient Home Grommet Kits. Or for more details on one of our most trusted grommet suppliers, check out our Scovill Hardware Brand Page.